Fog and Mist, both are clouds made up of condensed water vapour, i.e. water droplets, hanging in the atmosphere at the surface of the earth, which restricts visibility to some extent. In spite of having similar composition, there are subtle differences between fog and mist which lies in the density and extent to which the visibility is reduced. Fog is denser in comparison to mist, and so it has a greater impact on visibility, i.e. the former limits visibility to nearly one kilometre, but the latter restricts visibility to more than a kilometre. Many use the two words interchangeably, as these two are only forms of clouds that differ in thickness. So, take a look at this article to further comprehend the meaning. Meaning Fog implies a thick low-lying cloud, appearing at the surface level, that is composed of tiny water globules, suspended in the air. Mist refers to the cloud formed out of small water droplets suspended in the atmosphere at the ground level, due to temperature inversion or change in humidity. Visibility Restricted to nearly one kilometer. Restricted to more than one kilometer. Longetivity It lasts for longer period. It lasts for short time. In simple terms, fog is used to mean condensed water vapour suspended in the atmosphere, close to the earth’s surface, which forms an opaque sheet that restricts the visibility. It is a complex phenomenon of the atmosphere, that is greatly affected by neighbouring water bodies, wind speed, topography, etc. Air can hold a certain amount of water and the warmer it is, the more water it can carry. The more water fills the air, the more it becomes humid and after a certain point it starts cooling down and as the temperature reaches the dew point, it starts condensing, and fog is formed. Dew point is a point wherein the ability of air to hold moisture reduces, i.e. air can no longer hold water droplets, resulting in condensation. Mist is an atmospheric phenomenon formed by tiny water vapour suspended in the atmosphere, at the surface of the earth that hinders visibility to some extent. This is caused by temperature inversion, volcanic activity, change in humidity. The chemical process that changes water globules to mist is called dispersion. 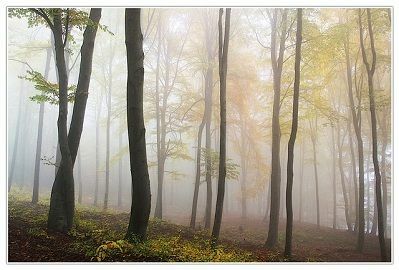 Mist is often observed when warm, moist air experience abrupt cooling, i.e. the droplets becomes visible to us when warm water droplets are suddenly cooled down. The most common example of mist is exhaled air during winters. A thick, low-lying cloud, which occurs at the earth’s surface, that is composed of tiny water droplets, suspended in the air, is known as Fog. Mist is defined as the cloud created when water globules are suspended in the air due to change in humidity or temperature inversion. Fog and mist greatly differ regarding density, as fog is much denser than mist, i.e. fog creates an opaque sheet, that blurs visibility. Fog obscures visibility to a greater extent than mist i.e. in the case of fog visibility is restricted to below one kilometer. Unlike mist, wherein visibility remains above one kilometre. When it comes to longevity, mist lasts for short duration and tend to disappear quicker, with slight winds. On the contrary, fog lasts for several minutes or even hours and do not dissipate easily. To sum up the discussion, it is to say that the fundamental difference between these two cloud-like aggregation of water droplets is how far one can see through them, i.e. if you can see beyond one kilometre it is mist if you can’t then it is fog.